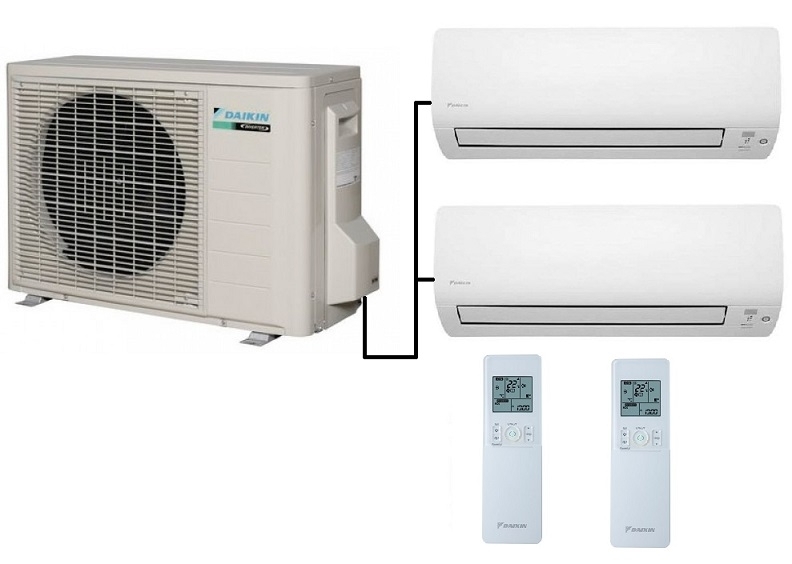 Daikin offer a full range of multi outdoor units that run a number of indoor units. 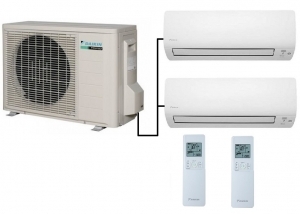 This Daikin 2MXM20M twin split outdoor unit is fitted with either the 2.0kw or 2.5kw indoor wall mounted units. These indoor units have full weekly timer facilities with the added option of being able to be fitted with a W--Fi adaptor if required. These twin split multi systems are ideal for providing energy efficient heating to residential or small business premises. Note these are the new R32 refrigerant models.